First licensed as Novice WN7KVC in 1968, General WA7KVC in 1969, and finally K7BWH in 2012. I was active in teenage years and high school, moderately active in college, but off the air since 1981. I'm starting over from scratch in 2010, now that my youngest left for college. Today's equipment is cool and modern! 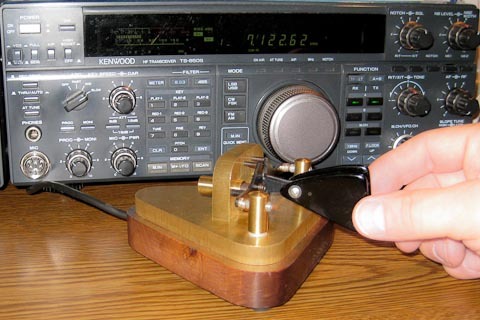 For many years it seemed that ham radio was obsoleted by the Internet and cellphones. But now radios are now melding with computers and the Internet. New spectrum views of entire bands are making it easier than ever. My radio shack has tried-and-true HF base station and VHF/UHF mobile rig. A computer integration project will put the TS-850s under computer control and assist with logging. Look inside my Kenwood TS-850s and see how to open the case and make repairs. Notes about hilltopping describes how to be popular with your 2-meter radio with an altitude. I'm at CN87xn49hi and altitude 475' ASL. I like to operate more CW than voice and am usually on 80, 40 and 20-meters. I like to monitor our local Puget Sound 2m and 70cm repeaters. 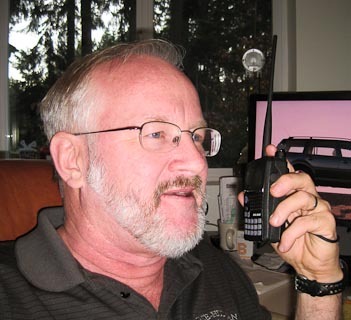 I'm learning about a lot of new technology and adding APRS to my VHF mobile station. I'm reading about digital modes and SDR (software-defined radio) and beacons and reflectors and echolink and D-Star and satellite and more. Hamfests and flea markets are fun!